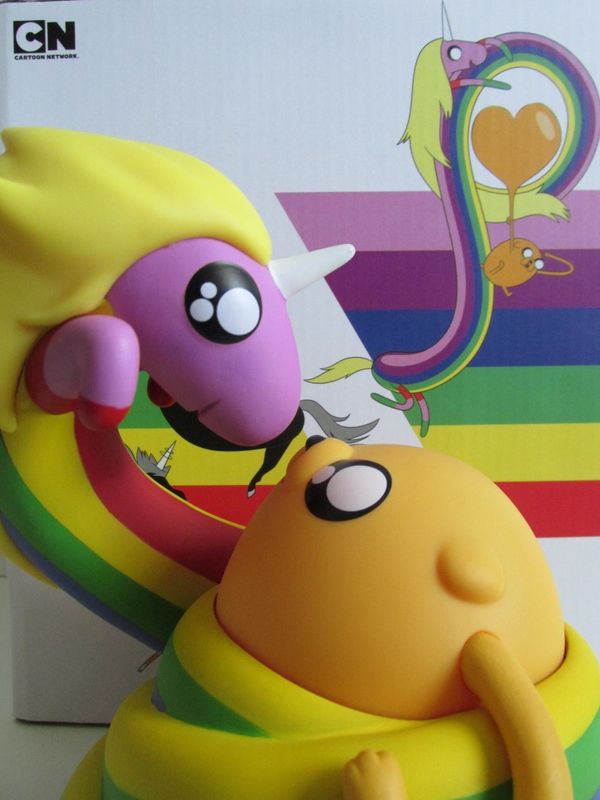 Adventure Time and Kidrobot have teamed up to create a special series of vinyl figures. 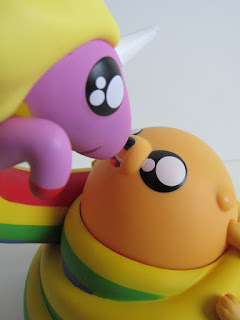 Kidrobot is releasing the usual blind box mini series and blind box key chains, but they are also releasing these two figures as well. 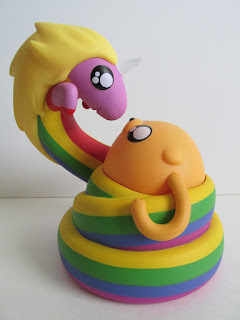 Both of these figures look amazing in hand and are a great piece for any Adventure Time fan. Puff Jake and Lil' Finn is a great take on an urban version of Finn. 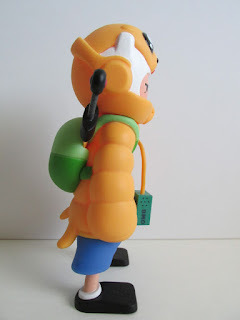 Finn is seen wearing a puffy jacket made of Jake and even has BMO as his MP3 player. 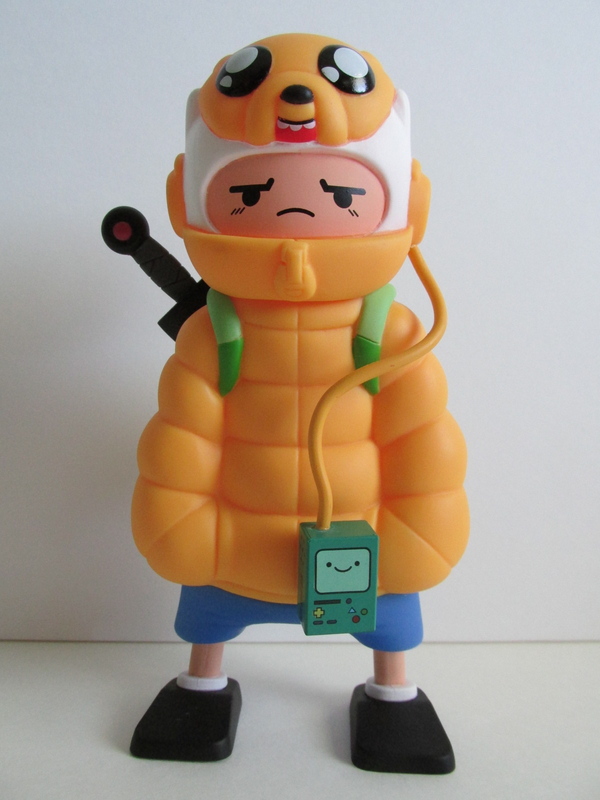 His expression is tough like it probably would be on the streets of OOO. He is also wearing his traditional green back pack and yellow sword tucked behind him. 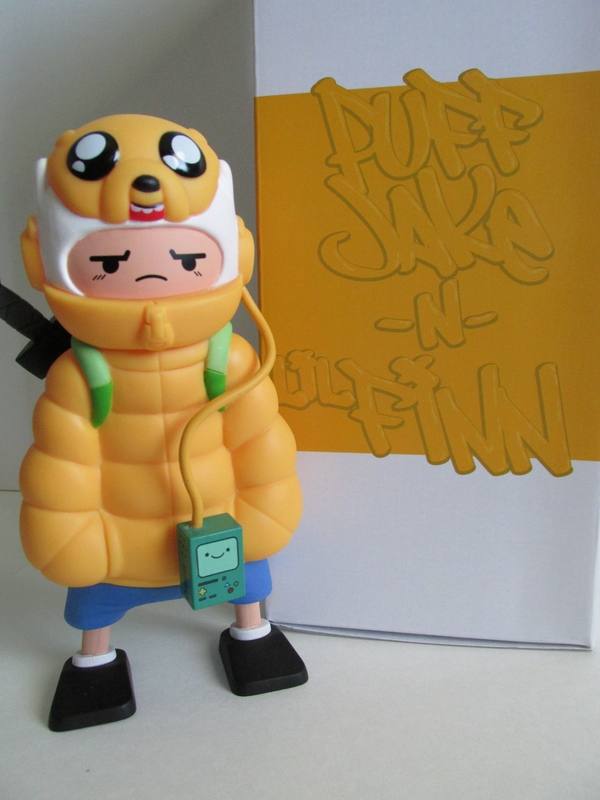 I'm loving that Jake's feet are at the end of the jacket, and Jake's expression is also spot on. I'm most impressed, however, with the Lady Rainicorn and Jake figure. 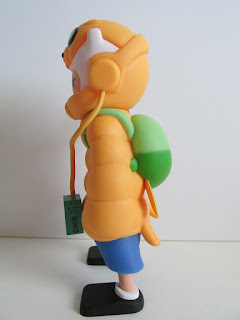 This was a figure that was not heavily announced and was a surprise to me at how great it looks. 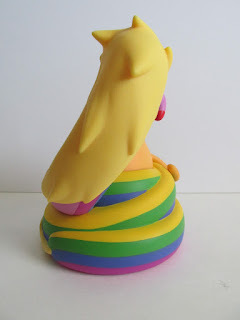 Again the paint apps and sculpt are spectacular, and Lady Rainicorn's rainbow helps to punctate the whimsy of this figure. Both of the boxes have great art on it and the inside flaps have a poem that relates to both figures. Otherwise, the boxes are just normal boxes. If you are into Adventure Time, then you have no choice but to buy both of these figures. 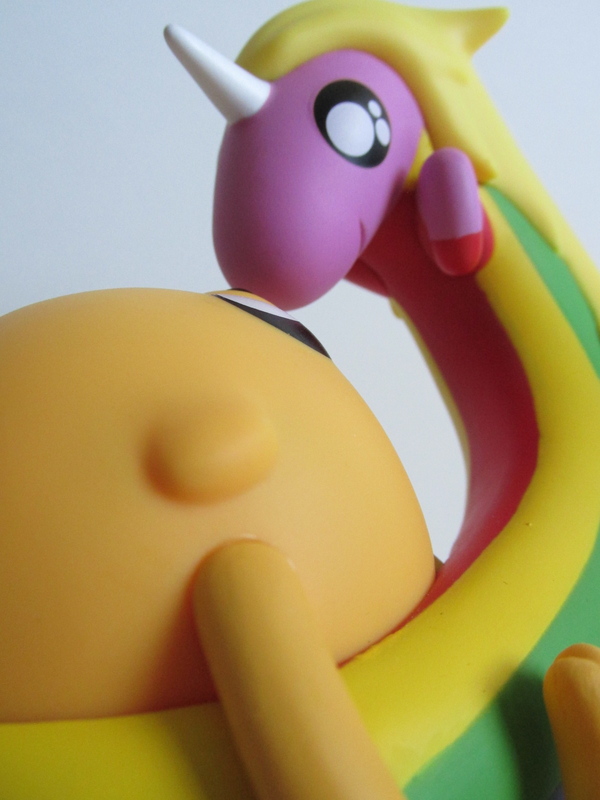 It turns out that both of these figures will be released at Comic Con this year as exclusive color variants. 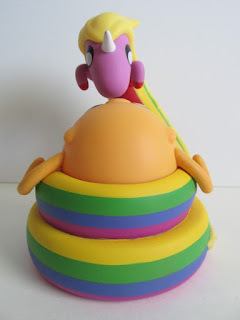 Puff Jake will be a purple color scheme while Lady Rainicorn and Jake will be repainted as Lord Monochromicorn and Cake...I guess its time to save some money. Entertainment Earth was selling these but they are temporarily out of stock.